Cuba's National Assembly has extended its term by two months, until April, a sign that Raul Castro will remain in the presidency longer than expected. 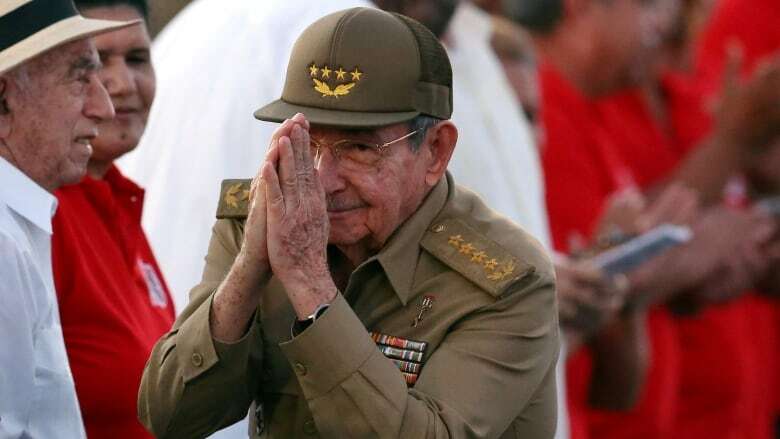 Raul Castro confirmed Thursday that he will continue as Cuba's president into April, two months longer than expected, as parliament extended the political cycle citing delays made necessary by a damaging hurricane. "I wish to ratify what has already been expressed ... about limiting to two terms of five years the exercise of the principal offices of the nation," Castro told lawmakers, in comments broadcast on state television. "When the (new) National Assembly is constituted next April 19, my second and last term will have concluded at the head of the state and the government and Cuba will have a new president," he added. Castro, 86, had previously said he would step down in February at the end of a months-long political cycle in which voters and government officials pick the members of local, provincial and national assemblies and the members of the powerful council of state. But earlier Thursday, the National Assembly announced that its current term would run through April 19 instead of ending in February because the impact of Hurricane Irma in September had delayed the start of the cycle. The current council of state is also remaining until then. Many Cubans and outside observers expect Castro to be replaced as president by First Vice-President Miguel Diaz Canel, 57, who has promised to continue Castro's policies. Those include allowing the slow and limited introduction of private enterprise into Cuba's centrally planned economy, while maintaining a single-party system and tight government control of virtually all aspects of life on the island. Vice-President Marino Murillo, who is also the government's economy czar, announced new controls and regulations for the non-state sector that come on the heels of earlier restrictions around the middle of this year. Murillo said there will be no new approvals for the time being for non-agricultural co-operatives, while their maximum and minimum earnings will be limited to avoid the existence of de-facto private businesses. Castro is expected to retain his position as head of the Communist Party, which sets the parameters of government policy and overall direction of the country. Castro took over from his older brother Fidel after the revolutionary leader and founder of the current Cuban system fell ill in 2006. The younger Castro began a series of domestic reforms that included the spread of internet and cellphone access, freedom to travel for most Cubans and the ability to buy and sell cars and houses. He also oversaw the re-establishment of diplomatic relations with the United States, a detente that was shaken by the election of Donald Trump as U.S. president last year. Trump re-imposed restrictions on Americans' ability to travel to Cuba, cutting into a tourism boom that had helped buffer the island's economy against a decline in trade with socialist ally Venezuela. "We have been witness to a serious and irrational deterioration in relations," Castro said. The Cuban government said Thursday that after a recession in 2016, the economy grew 1.6 per cent this year, a better performance than expected due largely to a 4.4 per cent rise in income from tourism, along with smaller increases in transport, communications, agriculture and construction.